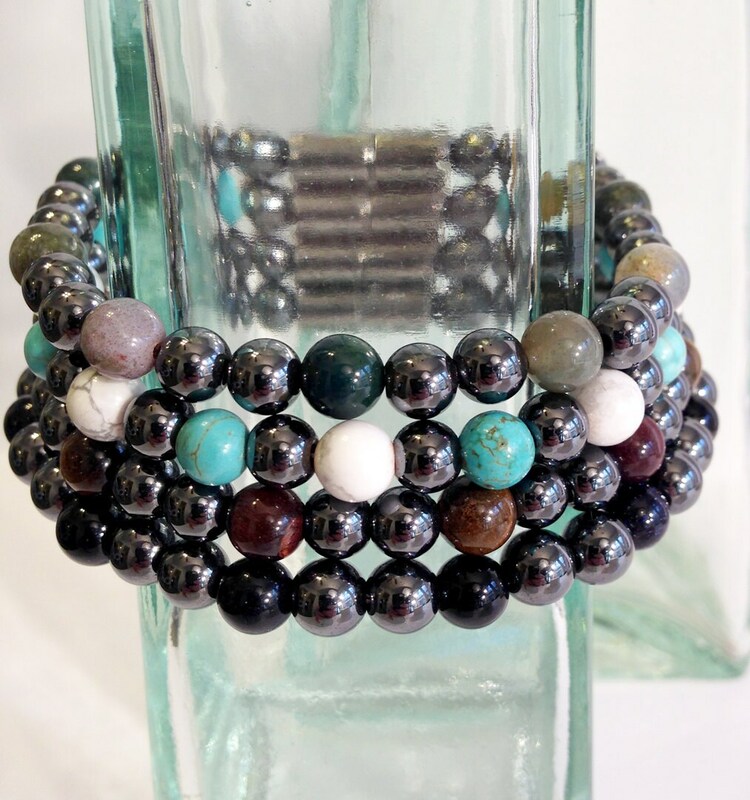 Here's a magnetic bracelet with magnetic hematite beads and gemstone accents. 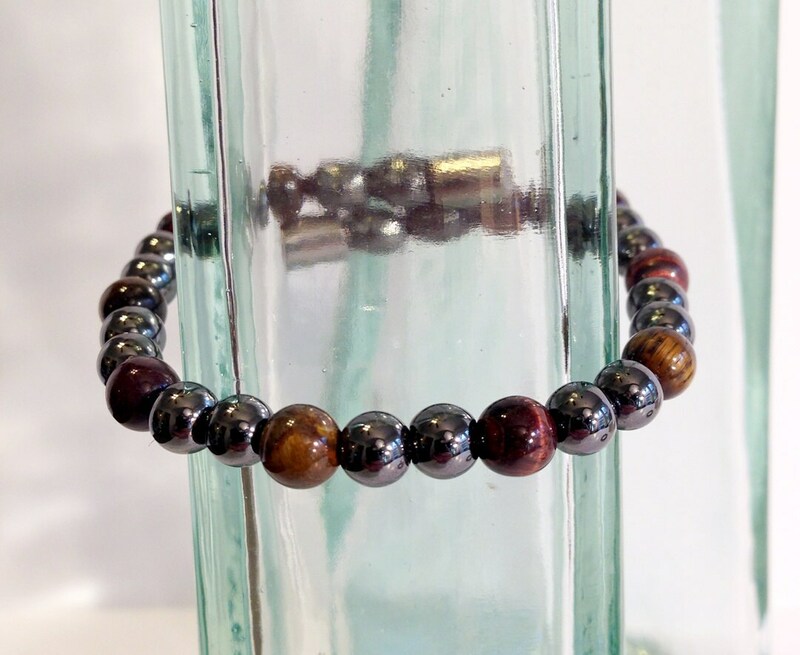 Fiery and earthy "eye of the tiger" color palate is the design, with dark lustrous magnetic hematite intermingled with red tiger eye stone and brown tiger eye. 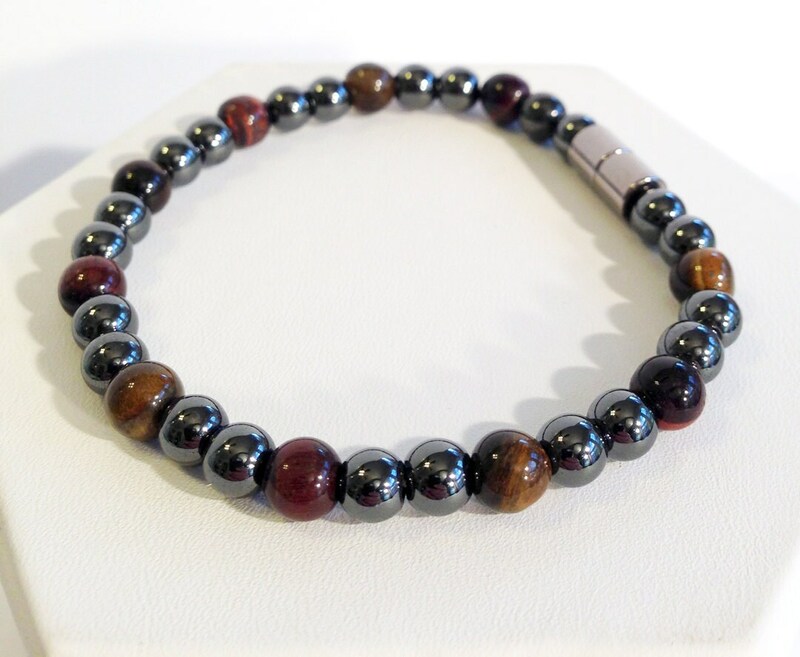 The beads are 6mm in size and the magnetic hematite is magnetic, the accent gemstones are non magnetic. Looks amazing with casual style or dressed up, whenever you want to feel ferociously good. Good product. Love it. Fast shipping as well. Love the matching bracelet you made for me. Very fast shipping! Excellent communication! You're the absolute best!!! Perfect match to the bracelet. I really love your work.